The meeting was held inside the Presidential Villa, Abuja. 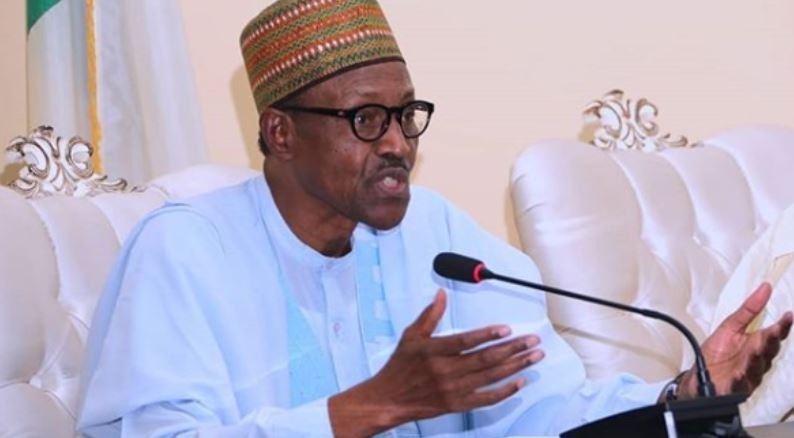 President and Commander-In Chief of the Federal Republic of Nigeria, Muhammadu Buhari on Thursday met behind closed doors with the nation’s security chiefs. Some of those who attended the meeting with the President are the Minister of Defence, Mansur Dan Ali; National Security Adviser, Babangana Monguno; Chief of Army Staff, Lt.-Gen. Tukur Buratai; Chief of Naval Staff, Vice Admiral Ibok Ekwe Ibas; Chief of Air Staff, Air Marshal Sadique Abubakar; and the Inspector-General of Police, Ibrahim Idris. The meeting was held a few days after Boko Haram insurgents killed a midwife with the International Committee of the Red Cross, Hauwa Liman.